How to set up time block scheduling. What is Time Block scheduling? Time blocks are a method of scheduling that allows your customers to request a window of time within which their pet sitter will arrive. Businesses have the option to set predefined time blocks, allow customers to request a custom time block or set predefined time blocks and allow pet owners to request custom time blocks. Predefined Time Block: Businesses will define which time blocks are available for customers to choose from when requesting an appointment. For easy reference, Scout allows the business to define a custom label for each time block. Custom Time Block: Businesses allow customers to define their own arrival window, but set a minimum amount of time needed between the start and end of the time block. The “Allow Custom Time Blocks” option can be enabled with or without predefined time blocks. 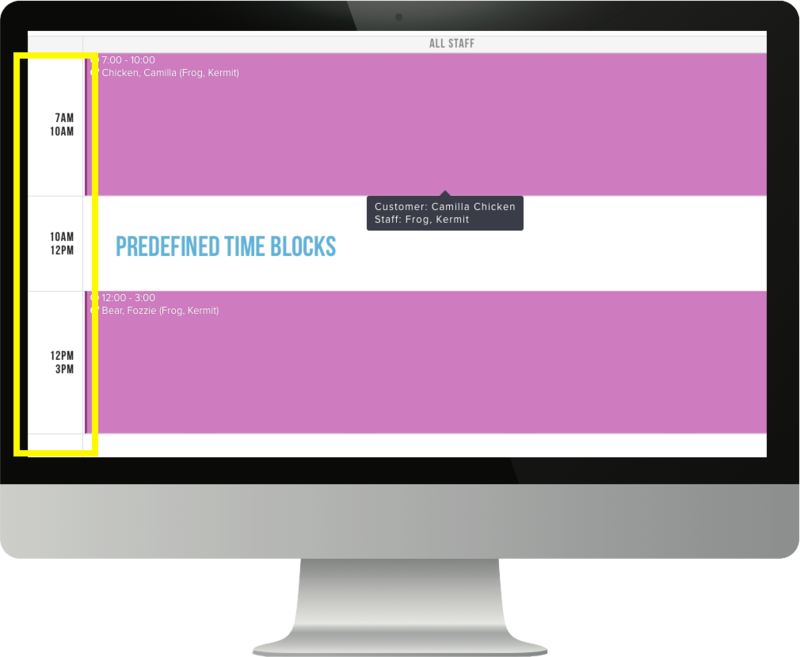 Setting Predefined Time Blocks in Scout. With the “Time Blocks” radio button selected, click the “Edit Time Blocks” button. To add a block, click anywhere on the calendar. When the “Create Time Block” window appears, you have the option to name the time block, edit the start and end times and select which days of the week the time block is available. 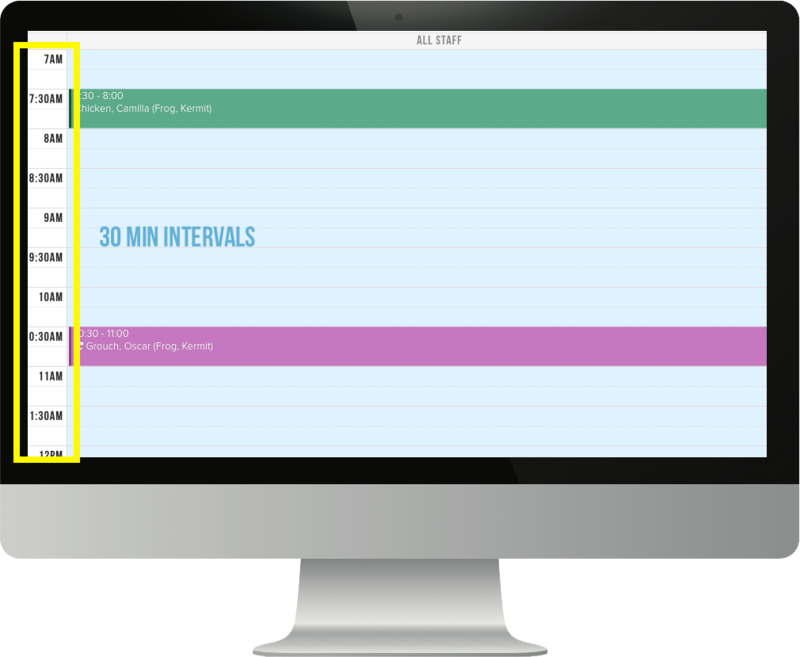 You can customize your time blocks for each day of the week or set them to be the same each day. When hybrid block scheduling is enabled, a pet owner (using the Scout for Pet Owners App) selects from a predefined set of “time blocks” when requesting an appointment. Upon receiving the request, an admin approves the appointment for the EXACT time they want the pet sitter to arrive. Once approved, the pet sitter (using the Scout for Dog Walkers App) sees only the EXACT scheduled arrival time while the pet owner only ever sees the the approved window. What is Universal Time Block scheduling? When Universal block scheduling is enabled, a pet owner (using the Scout for Pet Owners App) selects from a predefined set of time blocks when requesting an appointment. Upon receiving the request, an admin approves the arrival window rather than setting a specific arrival time. Once approved, the pet sitter (using the Staff for Dog Walkers App) sees the arrival window, allowing them the flexibility to manage their own arrival time within the set window. In addition to the various time block settings, Scout allows businesses to customize the calendar view. Hourly view displays your day in pre-set 30-minute increments. Do I have to set predefined timeblocks? 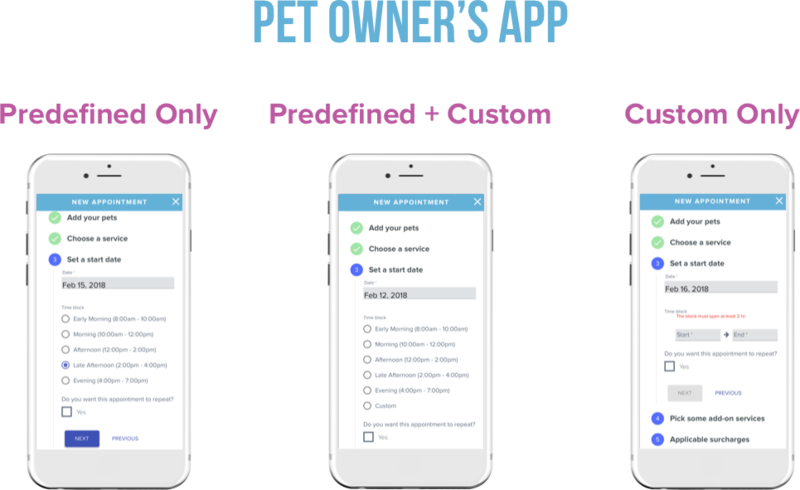 No, but you will need to enable the “allow custom time block” setting in order for your customers to schedule through the Scout for Pet Owners App. I started using Scout with specific time scheduling, can I convert all my appointments to timeblocks? Yes, choose time block scheduling and set your predefined time blocks. When you hit save you will be prompted to convert appointments with specific times to time blocks automatically. If you select this option, your appointments will be converted into a time block within which the original appointment was scheduled. Note: any existing appointments that don't fit within the time blocks you've defined will remain scheduled for a specific time. Can I convert to time blocks, but only for future requests? I want to keep specific times for previously scheduled appointments. Yes, choose time block scheduling and set your predefined time blocks. When you hit save you will be prompted to convert specific times to time blocks automatically. Select no and your scheduled appointments will remain scheduled for a specific time. Can I prevent customers from scheduling during certain times of the day? With the above settings, your customers will only have the options to choose from the predefined time blocks you've created.